The Fellowship Program was created to build a learning community that provides training and support for veterinarians working directly in shelters. UW/UCD Shelter Medicine Fellowship Program is a proud recipient of funding from Maddie's Fund®, helping to achieve a no-kill nation #ThanksToMaddie. Interested in becoming a Fellow? We are now accepting applications! We recruit in the spring so check our website around that time for details and application for the upcoming Fellowship year and follow us on facebook for updates. A requirement of the fellowship is to participate in our kickoff event called fellowship camp, which will likely be taking place August 26th-30th 2019. Interested invidivuals should keep this week open for travel in order to be considered for the fellowship. Our Fellowship program is a joint effort between our Shelter Medicine program at the University of Wisconsin-Madison and the University of California-Davis Koret Shelter Medicine Programs. Working together we deliver life-saving knowledge and services to our nation’s homeless pets while we all grow and develop our understanding of the field together. The fellowship is made possible by the generous support from various organizations who sponsor each fellow's training and travel throughout their year as a UW/UCD Fellow. The fellowship provides unique opportunities for practitioners to learn via clinical interaction with the University of Wisconsin and UC Davis Koret Shelter Medicine Programs and with a variety of animal shelters throughout the United States. In addition, selected fellows will interact with other academic and clinical programs with whom both programs regularly interact, including other university shelter medicine programs as well as national animal welfare organizations. The fellows will be able to put their new skills to work with their local shelter, directly benefitting shelter animals and communities. Many fellows continue their careers working in or with shelters for years to come, greatly magnifying the benefit of this investment in their training. If you are interested in joining our Fellowship Program in the future, please check back as we will post updates on our website with details on how to apply prior to each new Fellowship year, which starts every August. Dr. Kuehn wanted to be a veterinarian since age 9 and spent hours caring for many puppies and kittens prior to being accepted at University of Florida College of Veterinary Medicine. Diana graduated in 1981 and has practiced in a progressive small animal hospital doing small animals and exotics including birds. She has had a continued passion for our profession. Dr. Kuehn’s first introduction to shelter medicine other than as a young person, was helping do surgeries at the local shelter on her days off. Since selling her practice in January, Diana’s position at the Yellowstone Valley Animal Shelter in Billings has continued to evolve. She and another veterinarian are both working part time doing surgery and medicine, but also developing protocols for a variety of medical aspects at the shelter. Diana is excited to join the fellowship group this year and hopes to be able to learn more about enrichment improvement and medical standards of care in shelter medicine with hopes of helping implement and improve the programs that are already in place. 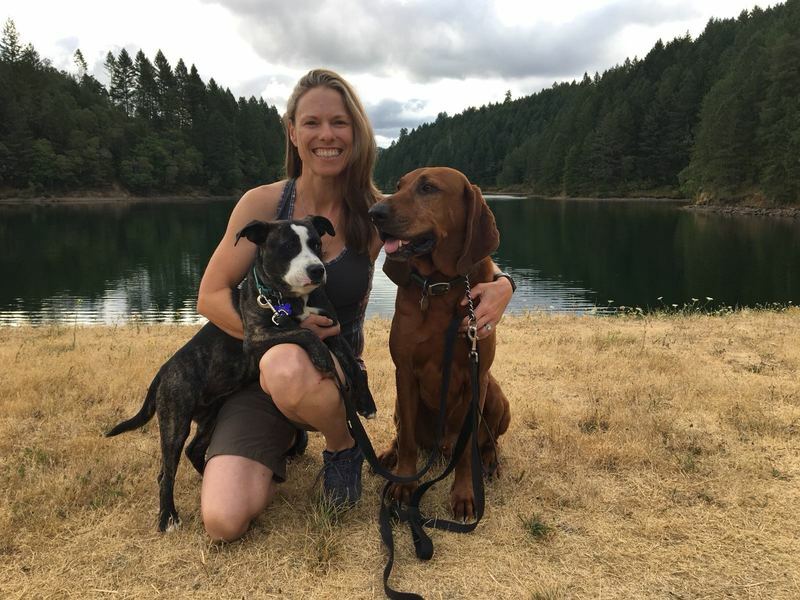 Dr. Jessica Reed is the Medical Director at Seattle Humane, a private, non-profit, limited admission shelter with an annual intake of around 8000 animals/year in Bellevue, WA. Dr. Reed received her bachelor’s degree in history from New York University. After graduation, she worked as a photo librarian in an historical picture archive, but a pair of sick guinea pigs rekindled her childhood dream of becoming a veterinarian. Soon after, she graduated from Cornell University’s College of Veterinary Medicine where she got hooked on shelter medicine. Lifelong New Yorkers, Dr. Reed and her husband moved West in search of trees and mountains. 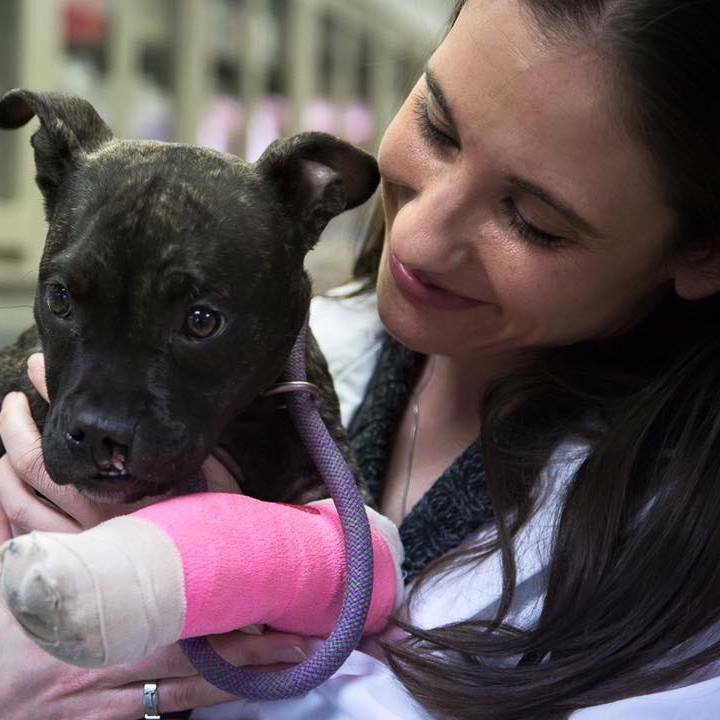 After a few years in private practice, Dr. Reed landed at Seattle Humane where she feels lucky to have the opportunity to save lives every day. 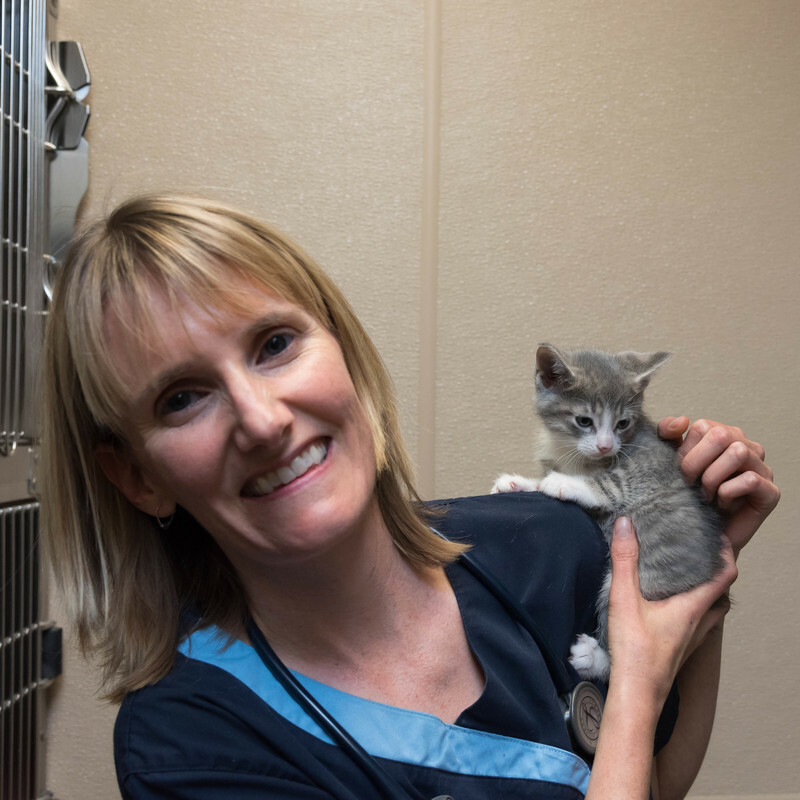 Dr. Reed loves that shelter medicine is predictably unpredictable and spends much of her time trying to streamline and improve processes within the shelter in order to elevate conditions for staff, shelter pets and clients. When she’s not working Dr. Reed spends her time with her supportive husband Chris (an excellent cook), her pug mix Stanley (the best boy) and her ragdoll mix Benny (a nervous soul who like to sit close). Dr. Wilson is the shelter veterinarian at Kern County Animal Services (KCAS), an open admission municipal shelter in Bakersfield with an annual intake of approximately 15,000 animals. KCAS is growing and changing daily. One such change, is the growth of the medical department. Previously, the shelter had a single veterinarian and one Registered Veterinary Technician (RVT). Today, Dr. Wilson encourages and inspires a team of 4 RVTs and 4 animal care workers to do the very best for the animals in their care. Dr. Wilson graduated from Oklahoma State University in 2014. From 2014–2016, she was in private mixed and small animal practice in Arkansas before moving to California and starting a career in shelter medicine. In 2016, she accepted a job at the City of Bakersfield Animal Care Center, and immediately fell in love with shelter medicine. In 2017, Dr. Wilson took a position with the county where she continues to work daily towards many life-saving goals. Dr. Wilson is a strong advocate and driving force for Making Kern County No-Kill. As a member of the MKNK coalition steering committee, she regularly advocates for homeless pets in Kern County. Dr. Wilson also enjoys traveling to impoverished areas providing veterinary services and education. Some of her travels have included volunteering in Brazil, Uganda and India. 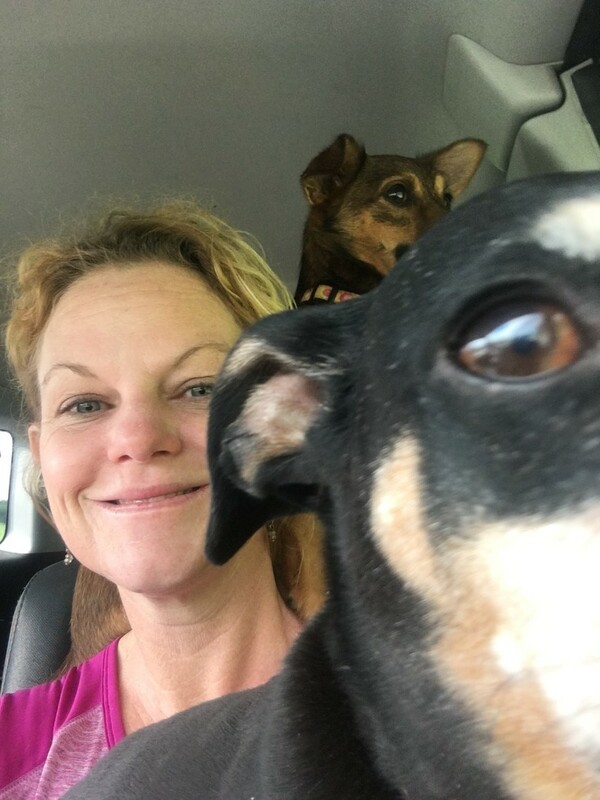 When free time permits, Dr. Wilson enjoys acrylic painting and lounging with her 3 rescued dogs Shelby, Spencer and Charlie. Dr. Rachel Powell graduated from the University of Illinois College of Veterinary Medicine in 2002. She spent a few years in mixed-animal private practice before joining an equine ambulatory practice. She eventually became a partner in the practice and even built a hospital facility. However, after 15 years and some unexpected life changes, Rachel was ready for something new. 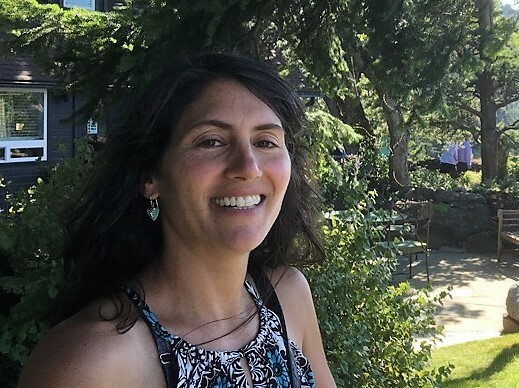 She and her husband, Doug, moved from Springfield, Illinois to Roseburg, Oregon with their two dogs and three horses and found a beautiful small farm to call home. She spent a few months working in a mixed animal practice and also started doing surgeries part-time for Saving Grace, a private, open-admissions shelter that also serves as the sole animal shelter for Douglas County. She swiftly realized that she very much enjoys practicing in the shelter environment so when Saving Grace offered her a full time position she jumped at the opportunity. The work is professionally and personally gratifying and she feels like she is making a real difference in her community and in the lives of the people and animals she works with. She has also discovered a passion for T-N-R and Return To Field programs to help control feral cat populations and reduce cat numbers in shelters. In her spare time, Rachel can be found outdoors…running, competing in endurance racing and dressage with her horses, or exploring the beautiful Oregon countryside with Doug. Dr. Shari O'Neill is the Chief Shelter Veterinarian at San Francisco Animal Care and Control, the City's only open-door municipal shelter with an annual intake of 9800. She graduated from Auburn University College of Veterinary Medicine in 1999. After many years of small animal private practice in Georgia, Colorado and California, Dr. O'Neill decided to pursue her interest in One Health. She earned her MPH from the University of Iowa in 2011 and was admitted to the ACVPM the same year. Her practicum project involved animal disaster preparedness for the veterinary community. During her project, she worked closely with the staff and administration of SFACC and developed a new awareness and appreciation of shelter medicine. She joined the staff of SFACC in January 2015 and has been pursuing improvements to medical services, policy and procedure, pathway planning, outbreak prevention and management, and animal welfare within the organization ever since. Dr. O'Neill continues to be involved in animal disaster planning on the local, state and national level. She is the small animal practice representative of the AVMA Committee on Disaster and Emergency Issues and serves on the CVMA's Steering Committee for the CA Veterinary Medical Reserve Corps. She deployed with the CAVMRC in October 2017 to assist those affected by the wildfires. As every day in the shelter seems to bring new and unique problems and challenges, Dr. O'Neill is thrilled to be a part of the Fellowship Program community and learn from both her colleagues and the academic leaders in the field. Dr. Vincent Paradis works as the Director of Animal Care at Services Animaliers de la Rive-Sud, an open admission shelter with an annual intake of 5000 animals. The philosophy of the shelter is to provide their partner cities with an ethical alternative to managing the challenges of their animal population. Dr. Paradis currently oversees the medical, behavioral and animal caregiver teams. Dr. Paradis graduated from the Faculty of Veterinary Medicine of the University of Montreal in 2010. He pursued further studies in ecosystem and wildlife health from the University of Illinois and UC Davis, as well as a DESS in environment and sustainable development from the University of Montreal. 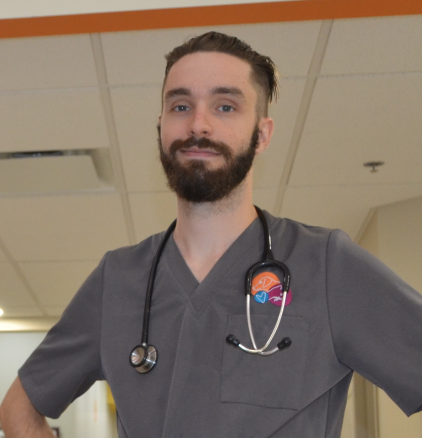 Vincent worked in small animal practice for a year and a half, while volunteering for a program offering medical care to the animals of the homeless youth of Montreal. He then became the first employee of a new start-up animal shelter, which replaced a for-profit pound. This became a turning point in his career, learning shelter management and medicine through on the job experience and continuing education. Vincent discovered a field of veterinary medicine where he could combine his interest in animal health and his desire to help the underprivileged. Vincent is very enthusiastic to begin the fellowship program with the goal of using his newly acquired expertise for the betterment of the local human and animal populations. Many fellowship alumni continue their participation in fellowship by remaining involved on some level in the Fellowship Program as alumni. Many life long relationships form through fellowship and keeping alumni involved in the program allows for mentoring of new fellows along with life-long learning and collaboration between practitioners and academics. Meg graduated from Michigan State University in 2009, where she had exactly one lecture regarding shelter medicine. From 2009-2013, she was in private small animal practice in Washington state. Then everything changed in June 2013, when she moved to Montana and stumbled into being the shelter vet because the practice she worked for had just acquired the contract with the county to provide medical services at the municipal shelter, Flathead County Animal Shelter. Best career change ever! Mostly through dumb luck, trial by fire, and really good support from the other shelter staff, Meg is proud to say that in 4 years she and the shelter have been able to grow and improve and learn by leaps and bounds. She is still in private practice 3 days a week, but constantly looks for opportunities to refine her skills as a shelter veterinarian, and provide a comprehensive service to the community by improving outcomes for animals in Flathead County. Her specific interests include bridging between the shelter and private practice, other animal welfare organizations in the area, and educational and governmental groups. Dr. Schroder currently work as the Director of Shelter Medicine at Greenhill Humane Society. She supervises 2 other vets and approximately 50 staff at two shelters (an open admission public facility and a limited admission private shelter, each with an annual intake of approximately 2500/yr.) Her professional career began in research labs, studying toxicology and neurology, prior to attending vet school. 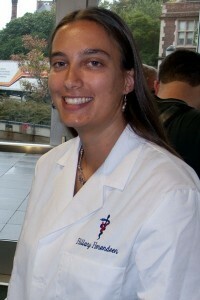 She graduated from the Va-Md Regional College of Veterinary Medicine in 2001. 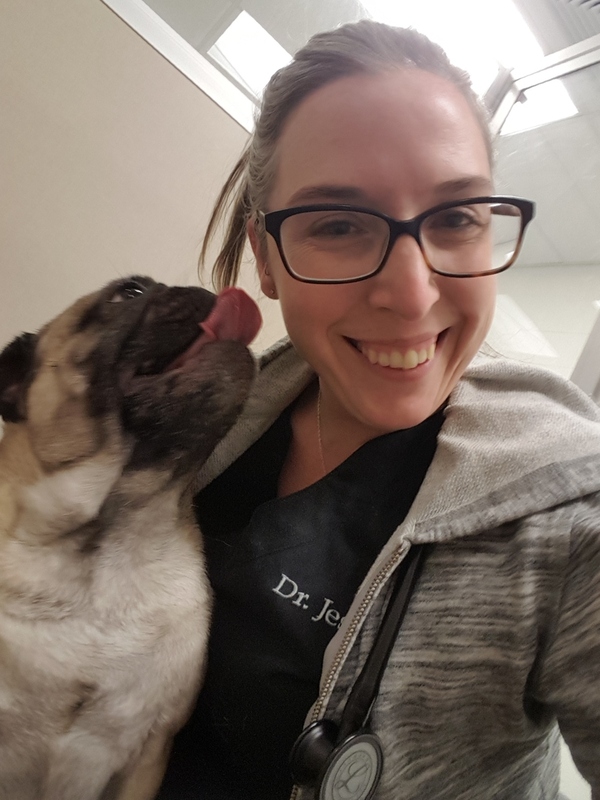 After vet school, she worked in a various private practice vet clinics for 8 years, with a focus on behavior medicine, before realizing that her true calling was in shelter medicine. She served as a volunteer shelter vet, and on Greenhill's Board of Directors, for a number of years before being brought on as the shelter’s first full-time vet in 2008, as the shelter moved toward a no-kill goal. It’s important to her to incorporate good disease prevention measures, humane care, and enrichment ideas into the shelter’s care protocols, since these animals spend a significant amount of time within our shelter system. In her spare time, she enjoys running, hiking, and other outdoor activities, and watching movies with a few cats on her lap. Dr. Allison Clarke is a shelter veterinarian at the Arizona Animal Welfare League, a limited admission shelter in Phoenix with an annual intake of around 4000 dogs and cats. AAWL prides itself on its robust outreach program with partner shelters, especially those in rural Arizona, and works closely with HSVMA-RAVS to assist animals from the San Carlos Apache Reservation. Dr. Clarke graduated from the University of Wisconsin in 2016 and completed a shelter medicine internship with the Maddie's Shelter Medicine Program at Cornell in 2017; she has only recently begun her adventure in Arizona. She hopes to focus her fellowship project on decreasing length of stay by pouncing on infectious disease, so that AAWL can keep taking those transfers! In her spare time, she enjoys thwarting the nefarious plans of her two cats Punky Brewster and Spot, hiking, yelling loudly while watching Duke basketball, and baking. Karen Hill Sheppard pursued a career in veterinary medicine because of her passion for animals. She is a 1992 graduate of Auburn University’s College of Veterinary Medicine. 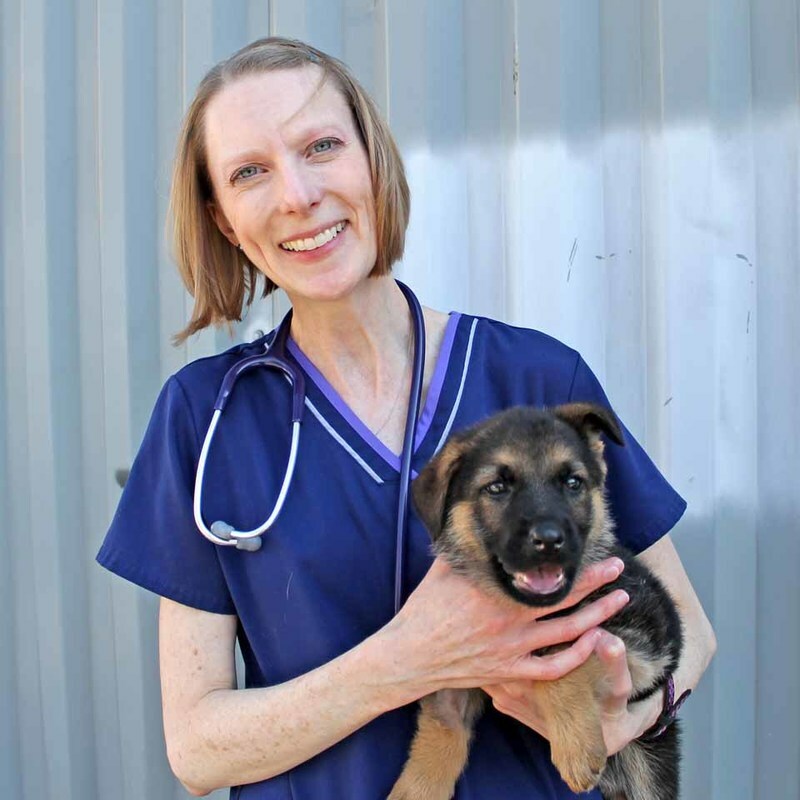 Until she accepted the position as director of Huntsville Animal Services in the fall of 2002, Karen practiced small animal medicine and surgery. Huntsville Animal Services finally achieved a 90% live release rate in 2015. The foundation of the community's success was the creation and funding of a low-income sterilization program in 2008, which lowered shelter intake from 10,000 to 5,000 annually. By adding a community cat diversion program, lowering adoption fees and being transparent, the shelter staff have fully engaged with the community. The goal is to continue to improve in order to save every life. Currently, Karen's family consists of dogs (Rat Dog, Marmot, Bunny and Squirrel), cats, horses and her animal-loving, tolerant husband, Fred. Hooked on animal rescue and sheltering from a young age, Anthea grew up always knowing she wanted to be a veterinarian, hanging out at the local animal shelter as soon as she was old enough to volunteer. As a teenager, she fostered countless numbers of kittens. She volunteered with a local cat rescue group doing trap-neuter-return years before it became mainstream. Before veterinary school, she worked in various positions at the Saskatoon SPCA including kennel attendant, and office assistant. As a first year veterinary student at Western College of Veterinary Medicine, she founded the Animal Welfare Club. She refused to participate in terminal dog labs during veterinary school and helped come up with suitable humane alternatives. Shelter medicine was not part of the veterinary curriculum at the time, so in fourth year took advantage of a shelter medicine externship at the Winnipeg Humane Society and was awarded the Association of Shelter Veterinarians scholarship to attend the shelter medicine track at the North American Veterinary Conference. Graduating in 2007, she worked in private practice for a year, volunteering when time at the Edmonton Humane Society. This turned into a part time position at the shelter, which evolved into a full time career as head shelter veterinarian. The Edmonton Humane Society has an annual intake of ~9000 animals. A highlight of her career at the Edmonton Humane Society was having the UC Davis shelter medicine team visit and consult on capacity for care in August 2016. She looks forward to delving into the many aspects of shelter medicine even further as part of the fellowship. Her special interest is in solving the cat overpopulation problem that plagues Alberta just like many other parts of the world. In her spare time, she enjoys walking her dogs at the off leash area, gardening at a CSA vegetable farm and cooking. She shares her home with her wife, two kids, two dogs and two cats. 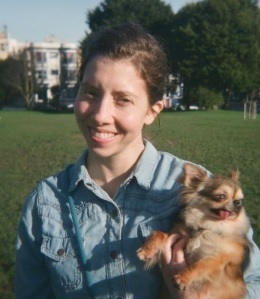 Elizabeth Roberts is the director of shelter medicine at the SF SPCA, a limited admission shelter with an annual intake of 5500. She is a 2005 graduate of U.C. Davis School of Veterinary Medicine and in 2006 received a Masters of Public Health degree from Johns Hopkins Bloomberg School of Public Heath with a concentration in infectious disease. She has worked in a variety of shelters in Northern California since 2007, and worked as a public heath veterinarian for San Mateo County and as a Cal-EIS fellow for the California Department of Public Health. She is incredibly excited to join the Maddie's UW/UCD Shelter Medicine Fellows and learn from the leaders in shelter medicine! 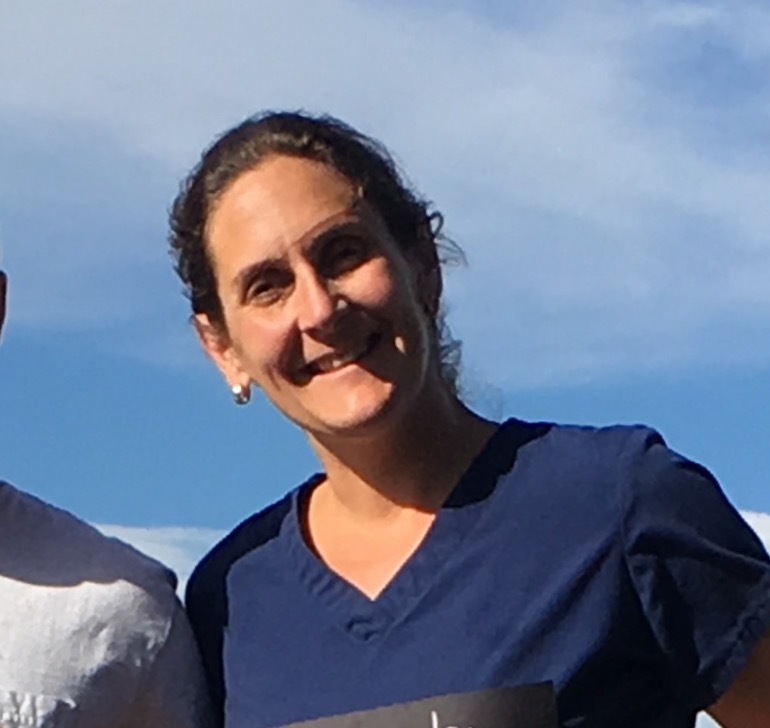 Dr. Melissa Resnick is a shelter veterinarian at the Animal Care and Control Team of Philadelphia (ACCT Philly) where she also teaches HQHVSN surgery to vet students. Her days fly by in a shelter with an annual intake of well over 20,000 animals. She graduated from the VA-MD College of Veterinary Medicine in 2001 and the University of Texas School of Public Health in 2006. It was during her MPH thesis project involving TX shelter dogs that her interest in shelter medicine was piqued. That inspired her to always volunteer some time to shelters and rescues. But before she found her niche in shelter medicine in 2014, she worked as a veterinarian in various fields including public health and epidemiology, emergency and general practice, and low-cost medicine and surgery. Her varied work experience gives her an appreciation of the interrelatedness of specialties within veterinary medicine and the importance of shelter medicine. 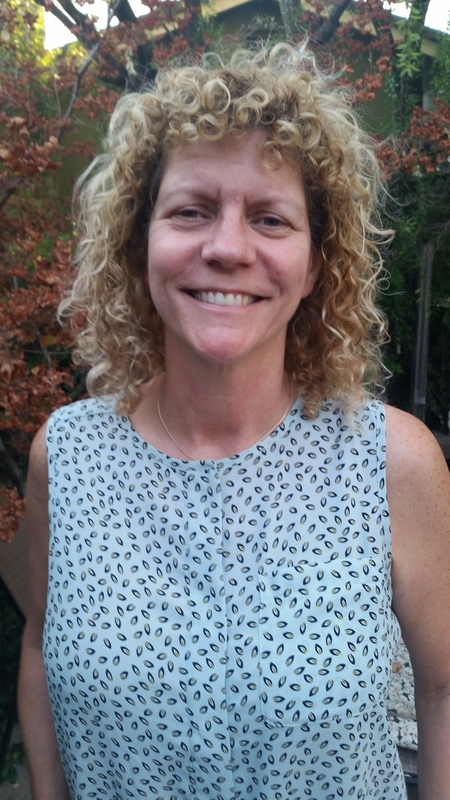 She is grateful for the training she receives as a shelter medicine fellow through U. of Wisconsin and UC Davis Koret Shelter Medicine Programs, and is focusing on managed admission and interventions to pet surrender. After spending nearly twenty years working in Human Resources and Industrial Relations Ann went back to uni to study veterinary science, graduating from Murdoch University in Perth Western Australia in 2008. Since then she has worked in both general practice and animal shelters in the UK and Australia. Ann was first exposed to shelter medicine during final year rotations in vet school and was hooked on shelter medicine after completing rotations and several placements at a cat shelter with an annual intake of 10,000 cats/kittens. She co-founded a Special Interest Group which provided information sessions on disease management and behaviour for the smaller rescue groups that ordinarily would not have easy access to such information. Ann completed the Graduate Certificate of Shelter Medicine with the University of Florida in 2015 and is now undertaking the Shelter Medicine Fellowship course with the University of Wisconsin / UC Davis Koret Shelter Medicine Programme. Her project is focusing on reducing the incidence of upper respiratory infections in shelter cats. Ann enjoys ‘thinking outside the box’ to find ways of improving the lives of shelter cats and kittens, and then seeing them being adopted is the icing on the cake. She hopes to be able assist other shelters and rescues make positive changes for the animals in their care. 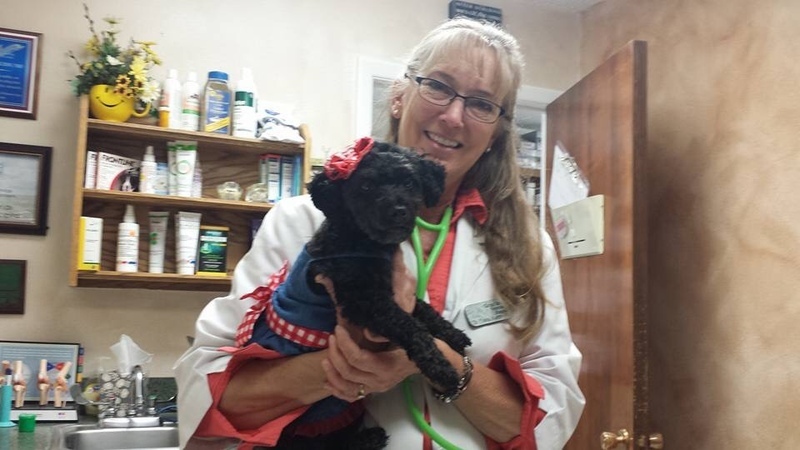 Jen has been a veterinarian for over 20 years, graduating from the UC Davis School of Veterinary Medicine in 1993. She became interested in shelter medicine when it was just an emerging discipline. While working part time in both a private practice clinic and a local municipal shelter, she felt the call and took the plunge to practice shelter medicine full time. Best career decision ever! Now the first full time shelter veterinarian for the City of Oakland, Jen is tasked with bringing her shelter into the 21st century by implementing new policies and procedures for the animals in her care. Oakland Animal Services became its own agency just 2 ½ years ago, coming out from under the police department, and the open admission municipal shelter has an annual intake of approximately 6,000 animals serving a diverse city population of 411,000. She is excited to be a part of the fellowship group this year as she strives to educate the people on pet ownership and improve welfare for the animals in her community. 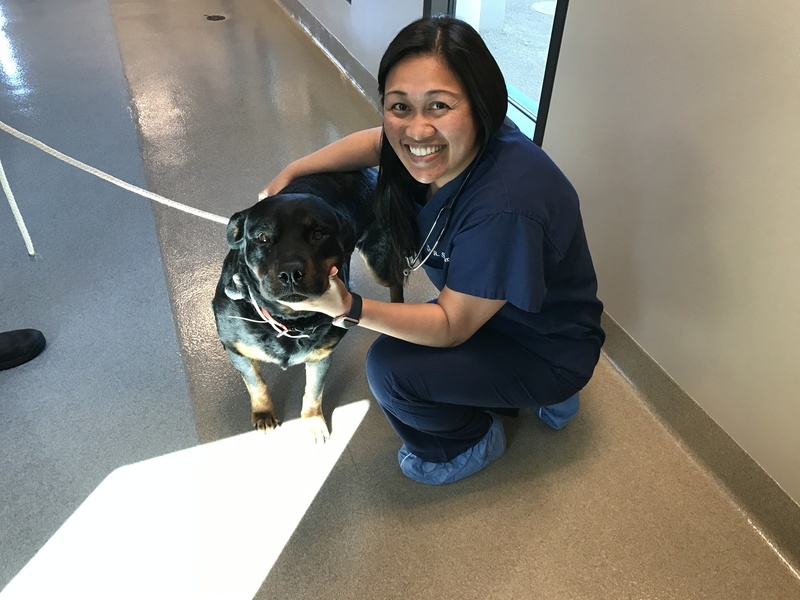 With the level of knowledge and community expectations on the rise, she is inspired by what people and animals can do and is proud to be a shelter veterinarian. She shares her life with her husband, her son who is a freshman at UC Davis, her daughter who is a junior in high school but more than willing to hire her mom when she becomes a veterinarian, and 3 shelter dogs – Faris, Cam and a new arrival whose name is yet to be determined. When she is not out walking the dogs, she can probably be found watching soccer games. Dr. Saelor is currently a veterinarian for the Los Angeles County Department of Animal Care and Control. She’s been with LA County for 3 years now and has been a part of all the changes County has made including opening a new shelter in Palmdale Ca in July 2016. Dr. Saelor is a member of the SCVMA, SCFVMA and is a shelter medicine fellow this year for the UW/UCD Shelter Medicine Fellowship 2016-2017. She is advanced certified in scuba diving, which allows her to enjoy a “different world of animals” under the sea. She has a rambunctious Rottweiler named Kona whom she rescued while being in private practice. She has two kids, a daughter named Adrienne age 3 and a son named Benjamin age 1. Whenever she is able to get these two kids to nap at the same time, she enjoys reading and cooking. But whenever she gets the chance she takes the kids to Disneyland – the “Happiest Place On Earth”. 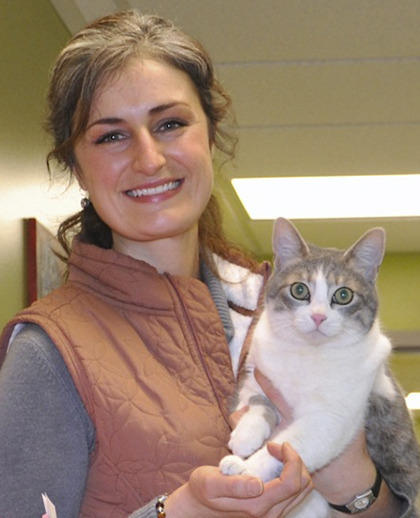 Dr. Sarah Frei is a shelter veterinarian at Kansas City Pet Project. She made the decision to move across the state to join the organization after being inspired by their progressive, life-saving work and stays very busy managing their new veterinary care center. 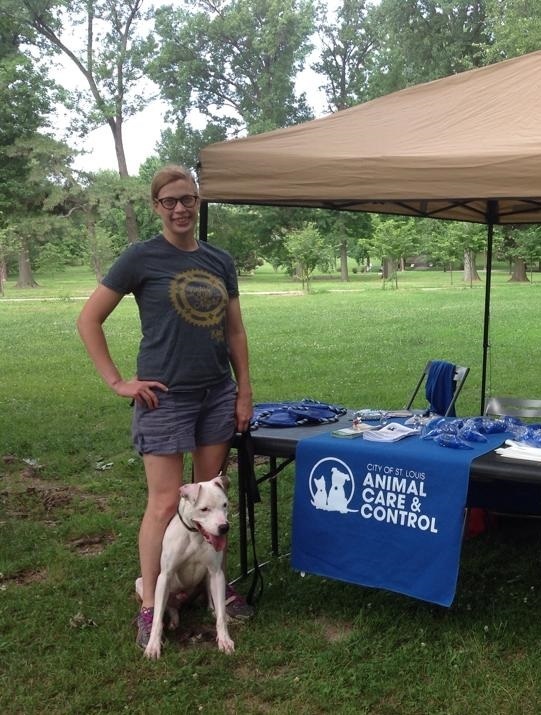 Dr. Frei is a 2008 graduate of the University of Missouri-Columbia College of Veterinary Medicine and has had a strong interest in animal sheltering throughout her career; holding positions in both governmental and non-profit animal shelters. In her free time Dr. Frei also enjoys camping, conservation, and wildlife rehabilitation. She is constantly amazed by this exciting and evolving field and is proud to be a part of it. Dr. Gutting is the Medical Director at Milwaukee Area Domestic Animal Control Commission (MADACC), attending to approximately 11,000 stray and abandoned animals each year. Dr. Gutting accepted this position in 2011 and arrived in Milwaukee ready to face the challenges of animal control in a large urban area. A 2010 graduate of Oklahoma State University Center for Veterinary Health Sciences in Stillwater, Oklahoma, Dr. Gutting was raised in Norman, Oklahoma, where she received her Bachelor’s of Science from the University of Oklahoma. Post graduation from OSU, she completed a one-year internship in Shelter Surgery and Medicine at Oklahoma State University, in cooperation with City of Tulsa Animal Welfare. 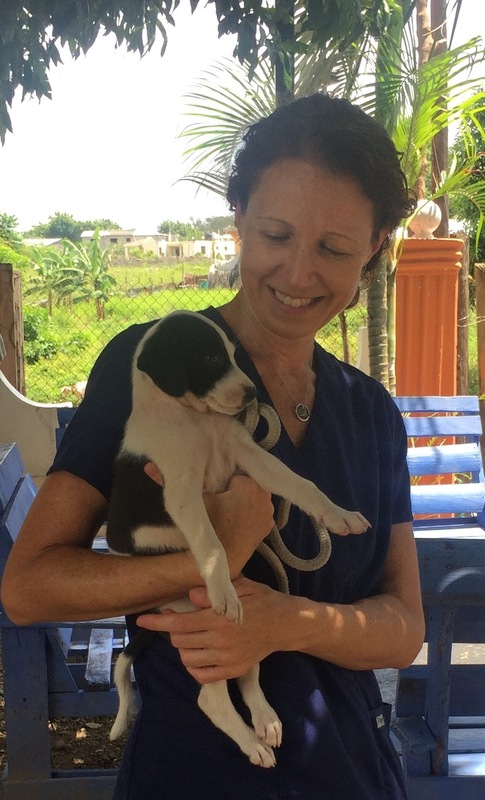 From her high school years, Dr. Gutting has always had an interest in non-profit and shelter work, which grew upon her discovery of the world of Shelter Medicine in vet school. She is currently completing a year-long fellowship in Shelter Medicine through University of Wisconsin Shelter Medicine Program / UC Davis Koret Shelter Medicine Program with her focus project being on increasing efficiency of cat flow through the shelter. On her time off, Dr. G shares her home with the best dog ever, Gail, and 4 misfit cats of the orange and black shorthair variety. She enjoys college football (Boomer Sooner! ), amateur gardening, and Netflix binge watching, and is a beginner runner and master kitten foster parent. Dr. Gutting's fellowship project, "Fast Cats are Happy Cats: Improving Pathway Efficiency for Cats in Shelters" was presented at HSUS Animal Care Expo 2016 and during National Shelter Medicine Rounds. Dr. Frei's fellowship project, "Bring it On: The Gift of Conflict" was presented at HSUS Animal Care Expo 2016 and during National Shelter Medicine Rounds. Dr. McAndrew is currently the Medical Director for the Washington Humane Society, in DC. She’s been with WHS for over 4 years and has seen the shelter make some great improvements during that time, with even greater things in store for the animals and people of the DC community with the merger of WHS with the Washington Animal Rescue League. This exciting merger will allow for a comprehensive set of animal care, protection programs, and resources for all of DC. Dr. McAndrew graduated from North Carolina College of Veterinary Medicine in 2008. Following graduation Dr. McAndrew became the veterinarian for Wildlife Rescue and Rehabilitation sanctuary in Blanco, Tx. Prior to moving to the DC area, she spent time as a veterinarian for Austin Pets Alive! As well. 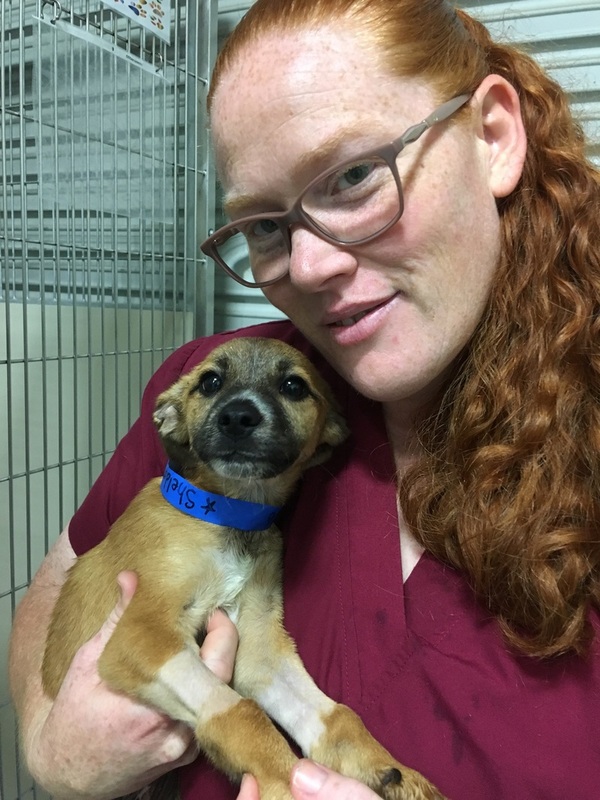 Having always felt her place was in not for profit medicine, the Fellowship allows for an exciting chance to communicate with and learn from the top veterinarians in the Shelter Medicine Field, while contributing her own experiences and knowledge. This relatively new field of veterinary medicine is rapidly changing, and the Fellowship program allows this team to stay on the forefront. Dr. McAndrew has two dogs, Amy and Goober, and three cats, Connor, Bella, and Lucy, and often has fosters in need of more critical care. 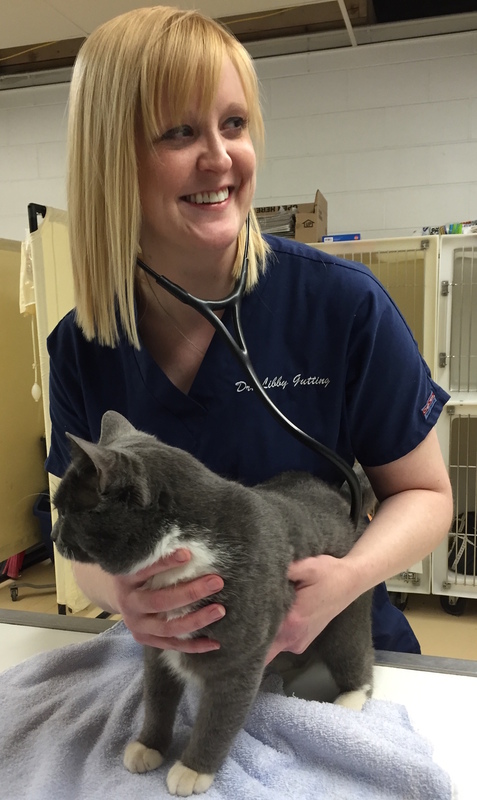 Dr. McAndrew's fellowship project, "To Test or Not to Test: Making Sense of FeLV and FIV Testing" was presented at HSUS Animal Care Expo 2016 and during National Shelter Medicine Rounds. Dr. Purvis is a 2015/16 Fellow and so happy that she is! This year has been transformative, both personally and professionally. She is a 2007 Washington State University grad and followed that with an amazing year at the University of Tennessee as a small animal intern. Since then she’s worked in private practice and was self-employed as a relief veterinarian for several years. She spends the majority of her time at work, because she loves it! She started with Auburn Valley Humane Society organization as a founding Board Member and following their opening day January 1, 2013, she took a job as Medical Director. She’s learned a lot and with the help of the fellowship, has instituted great programs and broken down barriers that have resulted in a length of stay reduction by over half! As they continue to grow and learn, she is so excited for 2016 and the lives they will change, four paws at a time! Dr. Purvis' fellowship project, "Medical Management Techniques to Save your Sanity and Streamline Your System" was presented at HSUS Animal Care Expo 2016 and during National Shelter Medicine Rounds. 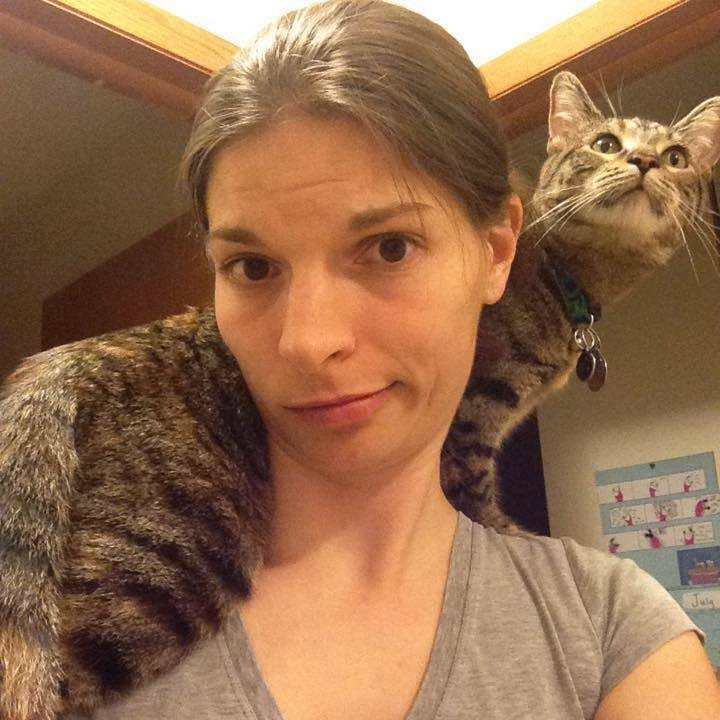 Dr. Herendeen graduated from Penn Vet in 2012, and has since worked as a Staff Veterinarian at the Animal Care and Control Team of Philadelphia (ACCT Philly) which turned out to be her dream job! ACCT Philly is a non-profit entity contracting to provide the animal care and control services for Philadelphia. Last year they celebrated a reduced intake from over 32,000 in our inaugural year (2012) to “only” 25,000 in 2015! Hillary has maximized the impact of an extremely limited medical resource team through generation and implementation of medical protocols and timely, informed triage decisions to rapidly identify those patients they can care for and those who need their transfer partners assistance. She has also supported program development for surrender prevention in low income communities, Trap Neuter Return education for staff and the public, as well as Community Cat Programs effect on reducing euthanasia of healthy “stray” cats in the municipal shelter setting. Since becoming a 2015 Shelter Medicine Fellow, Hillary has used this amazing opportunity to work with the ACCT Philly leadership team to design and implement a shelter wide “Humane Housing” initiative including changes in the primary enclosures for cats and dogs housed at ACCT Philly, and opening the hearts and minds of the hard working front line staff to improve the quality of stay for the pets in their care while working to minimize length of stay. Dr. Herendeen's fellowship project, "The Art of Self Assessment: Doing the Most with the Least in Humane Housing" was presented at HSUS Animal Care Expo 2016 and during National Shelter Medicine Rounds.